Everyone needs a little dose of Jason Brown now and again. Feeling the blues? Brown will wrap you up in the little tornado of his personality and make you forget it all. Feeling lonely and alone? Brown will bounce off to the airport and pick you up, just because that’s what he does. Too much silence in the room? Brown will take care of that, too, with his Tigger-like joy, filling up the space with it. Ponytails were in, for years. 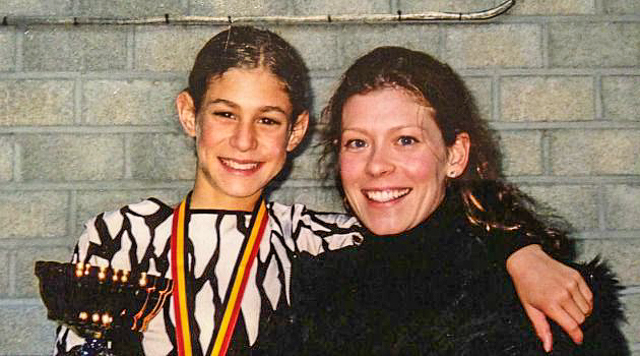 The lucky town that has him now is Toronto, where he has been training since May under Brian Orser, Tracy Wilson, Karen Preston and Lee Barkell. For the first time in 18 years, he would not be reporting to coach Kori Ade. And for the first time since 2009, Rohene Ward would not be choreographing his free program (although he did do his short program.) There have been so many changes. Brown, born in Los Angeles, packed up his things and drove to Toronto in his car last May, accompanied by his parents Marla and Steven, leaving behind Colorado Springs, where he had been training for five years. It’s all so very new. But after finishing sixth at the 2018 U.S. Championships, and missing a trip to the Pyeongchang Olympics, Brown knew he needed a change. It hasn’t been easy. Inside, he hasn’t changed though. Another new student was Evgenia Medvedeva of Russia, a two-time world champion who decided to move out of the nest of coach Eteri Tutberidze after finishing second to 15-year-old training mate Alina Zagitova at the Pyeongchang Olympics. A heartbreaker, to be sure. Evgenia Medvedeva at Autumn Classic in the short program. Photo by Danielle Earl. “That would be amazing,” said Medvedeva, whose English was already quite accomplished. The friendship began. “I knew she didn’t know anybody and… I told her: ‘I’m there for you,’” Brown said. As for himself, Brown was leaping way outside of his box. He came to Toronto for a visit during the Stars On Ice tour during breaks, knowing he wanted a change. He knew he wanted to work with a new coaching team for the next four years. And he linked up with the Toronto Cricket, Skating and Curling Club. “What was so appealing, not only are they such incredible coaches, but I love the fact that I don’t really know them,” Brown said. “I didn’t know Brian or Tracy personally before I came up to work with them. It seemed to be a mutual thing when Brown arrived. He knew they were as excited to work with him as he was with them. “It was really really cool to completely start from scratch,” he said. Although Brown has always been known for his artistic touch on the ice, Wilson put him to work on simple stroking exercises for three hours EVERY DAY for three or four weeks, having him pay attention to the knee bend, the pressure on the ice, making sure his body core was doing the work. At this point, Brown says he understands it, but all of it is not quite yet ingrained in his muscle memory. He still has to think it all through, understanding that the stroking actually becomes part of the jump – something he had never considered before. So it’s not natural yet. Wilson told him it would take a year and a half to truly become part of him, although she’s excited by how quickly Brown is picking it up. He says there are moments of clarity. Brown and his new team worked through different patterns to see what fit and what gelled, and the technique of it all. He’s working on quads every day. He says he’s just beginning to land them in practice. 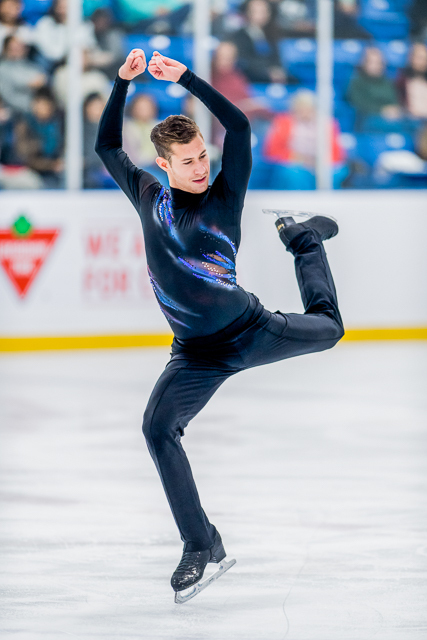 “Obviously, as you can see, I’m still working through it,” he said, speaking of how he doubled his quad Salchow in the free program and alas, singled a triple Axel and underrotated another, putting him fifth in that segment and fourth overall at Autumn Classic International in Oakville, Ont., last weekend. He turned a couple of quad Salchow attempts in the warmup, but fell on them. It’s all a work in process. He did not try a quad in the short, and finished third. Every day he learns something new at the Cricket Club, whether it be the answer to a mental struggle, or physically getting a jump or the pacing of a program. And for the first time, he’s skating with a host of top international skaters. He’s inspired by it all. He’s always been intrinsically motivated, and hasn’t’ needed other athletes to push or motivate him. “But what’s cool about being around all these athletes is the pace of the sessions, with them being so fast, and you have to be so alert. You’re constantly watching them and learning. And after having Kori Ade at the boards for 15 years, Brown almost feels as if he’s in a twilight zone with Wilson and Orser doing it instead. In practice at Autumn Classic, Brown kept skating by and laughing. “What’s he laughing about?” Orser asked Wilson. Brown admitted it. “I’m not used to it,” he said later. “It’s really challenging. That’s something that was really difficult at this event. I’m going to keep trying to relax and be calm. He doesn’t know how Orser and Wilson approach things. He and Ade had such a routine that he knew what she was thinking when he did a jump. When he came off the ice, they had a system: hand over the skate blades, get a hug, a handshake, a talk. He says he still has Ade’s voice in his head. He knew what she would be thinking. It’s the unknown that’s fiddling with his mind now. Yet another change: Brown’s ponytail, his trademark for his entire career. It’s gone. Brown says that the idea of cutting his hair occurred to him about a year and a half ago. After he missed the Olympics, he wanted to do it. Then he came to Canada, ponytail intact, at first. They set Brown up with a stylist they know in Toronto. A Canadian cut, eh? Jason Brown. Photo by Danielle Earl. He still reaches to pull out the ponytail, like when he goes into the shower or goes to sleep – and finds nothing there. He keeps reaching for his wrist, where he used to keep an elastic band to wrap his ponytail. So Brown is moving on, still the same on the inside, perhaps not so much on the outside. He’s only just begun on his new road. We’ll see where it takes him. 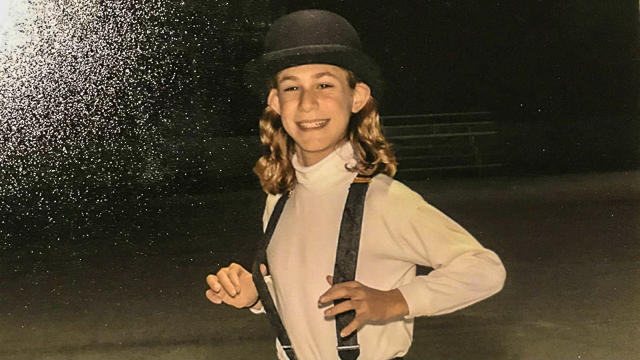 I was first hooked on Jason Brown after seeing his Celtic River Dance routine. His charisma, inner joy and artistry were refreshing and addictive. Thanks for this article because it fills in gaps in his story while reinforcing impressions of what a wonderful character he has. May he have a long and outstanding career.